When you return to the same place at the same time the very next year, you know there has to be a special reason. And in my case, the reason was that I fell in love with kayaking in the Black Sea. Touring the stunning red cliffs and marvelling at the maritime vistas of Bulgaria’s jagged northern coast is an unforgettable endeavour. Especially when you’re on your own in your kayak, taking on the waves and feeling like a true adventurer! 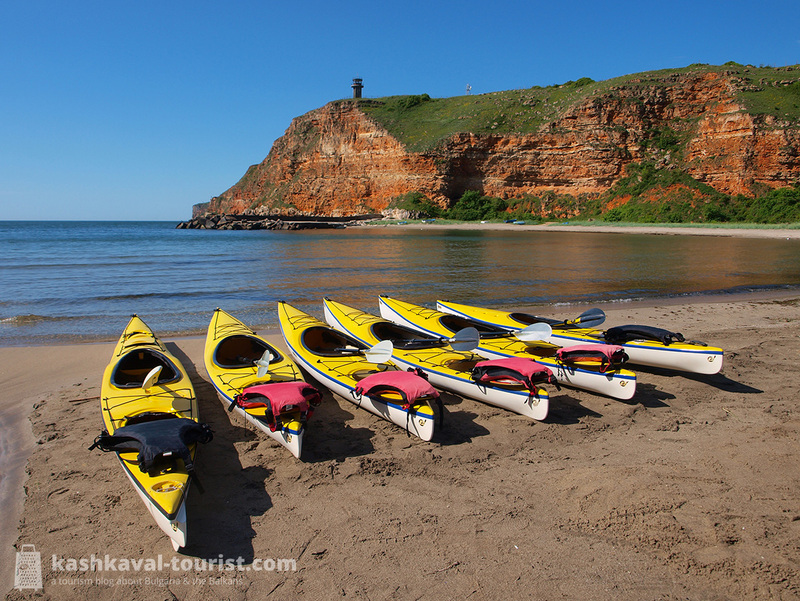 I went on both sea kayaking tours together with Trip Kavarna, a licensed tour agent, an experienced kayaker and an incredibly calm and friendly guide who speaks English, Russian and Bulgarian. Both times I paddled one of Trip Kavarna’s five high-grade Epic GPX single kayaks with Epic carbon touring paddles. At just 15 kg, this fibreglass boat was easy to carry in and out of the water and a joy to navigate. 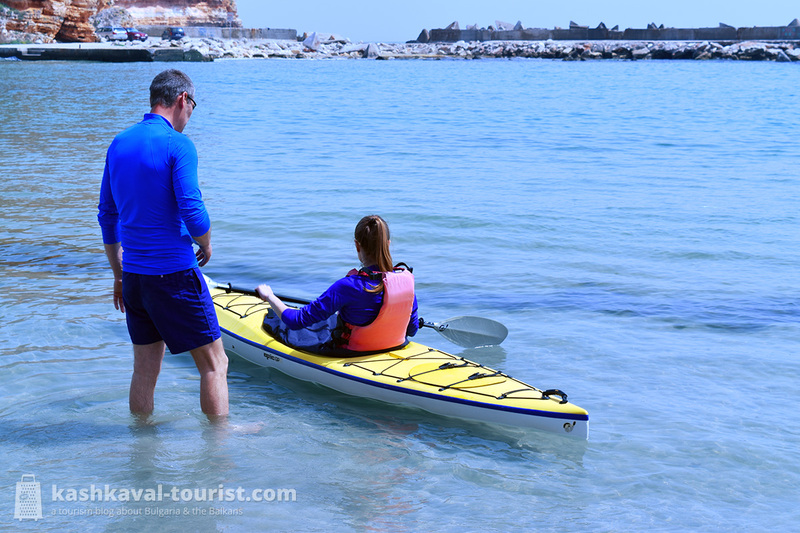 When paddling, it almost didn’t feel like I was moving any extra weight but my own body. At the same time, the boat was stable and robust. Keeping my balance wasn’t a challenge in one of the Epic GPX, so no, I never even came close to turning over… and I’ll admit I’ve been able to capsize in an actual full-sized boat in a city lake on another occasion! This time I was equipped with a life jacket and instructed on how to act in such a situation though, so it wouldn’t have been much of an issue anyway. Sportswear and an action camera are highly recommended for your kayaking adventure! Bringing a waterproofed action camera on board is highly recommended, but I wouldn’t take a phone or a DSLR with me. There’s dry bags to store your gear, but given that your kayak is covered by your sprayskirt at all times, you won’t be really able to easily access your camera. And you should be busy paddling and having fun anyway! Your guide will have an action camera on, so don’t worry, you’re guaranteed to have photographic proof of your kayaking adventure. Needless to say, this is a serious physical activity so you’d better slip into your activewear or swimsuit. On a sunny day, you’re unlikely to be cold and you won’t get too much water on you thanks to the sprayskirt. But you don’t want cotton clothes keeping you wet in any case! On longer tours, it would be wise to bring a bottle of drinking water (the action and those sea views might quickly make you thirsty), but on my shorter tours in spring, I was just fine without one.